My Hyundai i30 has a 1.6 l GDI engine with 135 HP. The GDI is not a diesel, as everyone might think, but a patrol car. Having in mind that the car weighs about 1300 kg, this amount of power is more than enough to push it confidently. The top speed is very close to 200 kilometers an hour, while the car reaches 100 KPH in just under 10 seconds. When you remember that this is not a sports car, but rather a city ride, these performance figures are more than satisfying. Moreover, the fuel consumption figures are outstanding. In the city the car burns about 8 l of fuel per 100 km. During relaxed highway driving I have actually managed to get the consumption under 5 l per 100 km. The sixth gear on my manual transmission is very useful during higher speeds, because it reduces both fuel consumption and engine noise levels. 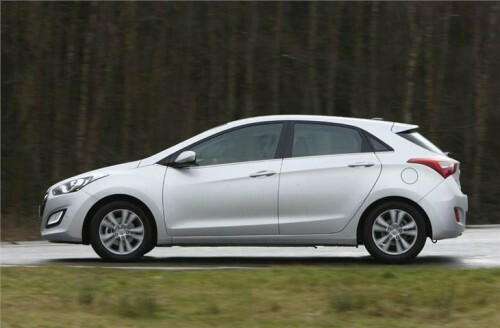 In terms of design, the i30 is a very beautiful hatchback. Generally speaking, the car is curvy an aerodynamic, but numerous sharpened edges and protruding lines make it look rather modern and aggressive. Driving is also very fun, because the steering is amazingly direct and responsive. The cabin follows similar design route compared to the exterior. It is very modern, but also very well thought out, comfortable and easy to get used to. 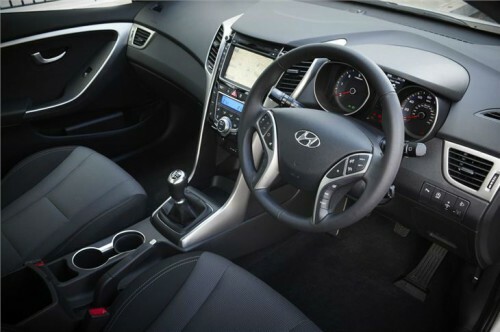 When I was buying my car I checked out some more expensive models and I was surprised to see that the i30’s interior is very similar to the one in i40, which is a higher class car and significantly more expensive. Without any extra payment, as standard features, you get Bluetooth connectivity, electric parking brake, iPod and USB connectivity, air conditioning, fog lights, electric adjustable mirrors which are also heated and the beautiful and very practical multifunctional steering wheel. There is enough room for everyone, even in the back and 378 liters of boot space offer plenty of cargo room. You may not have the right picture looking at numbers, but as a comparison it is about 60 l a larger than the one in the Ford Focus. The only bad thing I can imagine came to my attention when I tried larger wheels. I loved how an i30 looked on a picture on larger wheels, so I tried them out. It did look better, but the car was far less comfortable and the wonderful steering I mentioned lost much of its feel.